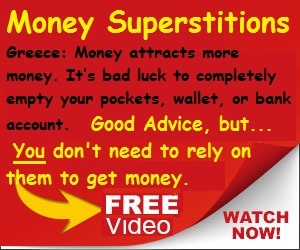 What does the year 2012 phenomenon have to do with luck? Well many will say nothing, but there are a small percent of people who believe in all the 2012 doomsday talk and website info heavily promoting terrible things slated to happen around December 21, 2012. So to be on the side of those few who think the bad 2012 predictions will come true then it is definitely good luck to survive it and bad luck to succumb to any of the so called disasters. Not being from the East I have no idea of how that part of the world takes the dire 2012 predictions. So far, here in California, Missouri, Colorado and Nevada, all of which I’ve been in recently, I have heard no mention of any 2012 predicted disasters from anyone. The 2012 phenomenon comprises a range of eschatological beliefs according to which cataclysmic or transformative events will occur on December 21, 2012. This date is regarded as the end-date of a 5,125-year-long cycle in the Mesoamerican Long Count calendar. Various astronomical alignments and numerological formula related to this date have been proposed. A New Age interpretation of this transition is that this date marks the start of time in which Earth and its inhabitants may undergo a positive physical or spiritual transformation, and that 2012 may mark the beginning of a new era. 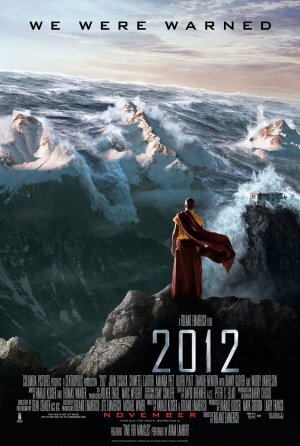 Others suggest that the 2012 date marks the end of the world or a similar catastrophe. Scenarios suggested for the end of the world include the arrival of the next solar maximum, or Earth’s collision with a black hole, passing asteroid or a planet called “Nibiru”. Scholars from various disciplines have dismissed the idea of such cataclysmic events occurring in 2012. Professional Mayanist scholars state that predictions of impending doom are not found in any of the extant classic Maya accounts, and that the idea that the Long Count calendar “ends” in 2012 misrepresents Maya history and culture. Astronomers and other scientists have rejected the proposed events as pseudoscience, stating that they are contradicted by simple astronomical observations. In the Solar System, the planets and the Sun lie roughly within the same flat plane, known as the plane of the ecliptic. From our perspective on Earth, the ecliptic is the path taken by the Sun across the sky over the course of the year. The twelve constellations that line the ecliptic are known as the zodiac and, annually, the Sun passes through all of them in turn. Additionally, over time, the Sun’s annual cycle appears to recede very slowly backward by one degree every 72 years, or by one constellation every 2,160 years. This backward movement, called “precession”, is due to a slight wobble in the Earth’s axis as it spins, and can be compared to the way a spinning top wobbles as it slows down. Over the course of 25,800 years, a period often called a Great Year, the Sun completes a full, 360-degree backward circuit through the zodiac. In Western astrological traditions, precession is measured from the northern hemisphere’s spring equinox, or the point at which the Sun is exactly halfway between its lowest and highest points in the sky. Presently, the Sun’s spring equinox position is in the constellation Pisces and is moving back into Aquarius. This signals the end of one astrological age (the Age of Pisces) and the beginning of another (the Age of Aquarius). Similarly, the Sun’s winter solstice position, its lowest point, is currently in the constellation of Sagittarius, one of two constellations in which the zodiac intersects with the Milky Way. Every year, on the winter solstice, the Sun and the Milky Way, from the surface of the Earth, appear to come into alignment, and every year, precession causes a slight shift in the Sun’s position in the Milky Way. Given that the Milky Way is between 10° and 20° wide, it takes between 700 and 1400 years for the Sun’s winter solstice position to precess through it. 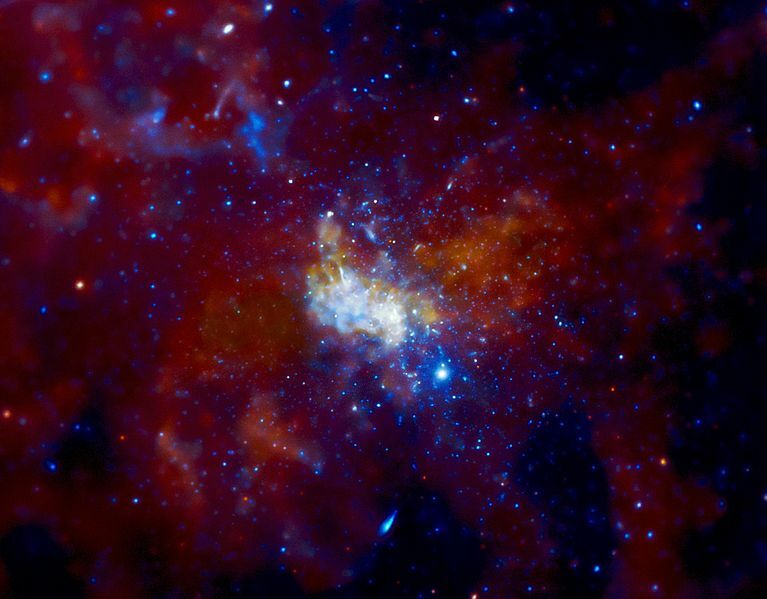 It is currently about halfway through the Milky Way, crossing the galactic equator. Some proponents of doomsday in 2012 claim that a planet called Planet X, or Nibiru, will collide with or pass by Earth in that year. This idea, which has appeared in various forms since 1995, initially predicted Doomsday in May, 2003, but proponents later abandoned that date after it passed without incident. The idea originated from claims of channeling of alien beings and has been widely ridiculed. Astronomers have calculated that such an object so close to Earth would be visible to anyone looking up at the night sky. Astronomers have found a new planet in the outer reaches of the solar system. It is NOT Nibiru. Temporarily it was called 2003 UB313 before it was given the name Eris. The concept of Planet X has been revived by a number of astronomers to explain anomalies observed in the outer Solar System. In popular culture, and even among some astronomers, Planet X has become a stand-in term for any undiscovered planet in the outer Solar System. Click here to read the NASA News Release. Also, the 2012 date has been loosely tied to the long-running concept of the Photon Belt, which predicts a form of interaction between Earth and Alcyone, the largest star of the Pleiades cluster. 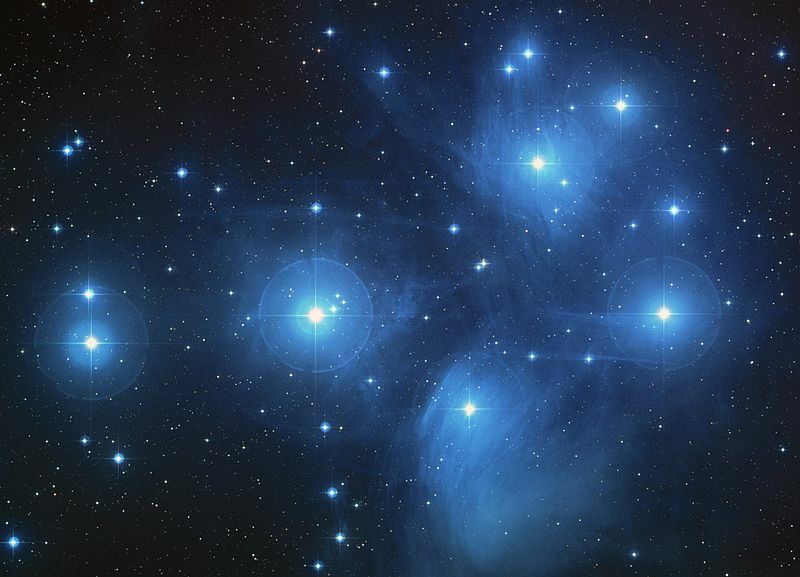 Critics have argued that photons cannot form belts, that the Pleiades, located more than 400 light years away, could have no effect on Earth, and that the Solar System, rather than getting closer to the Pleiades, is in fact moving farther away from them. Another idea tied to 2012 involves a geomagnetic reversal (often incorrectly referred to as a pole shift), possibly triggered by a massive solar flare, that would release an energy equal to 100 billion atomic bombs. This belief is supposedly supported by observations that the Earth’s magnetic field is weakening, which could precede a reversal of the north and south magnetic poles. Critics, however, claim that geomagnetic reversals take up to 7,000 years to complete, and do not start on any particular date. Furthermore, the U.S. National Oceanic and Atmospheric Administration now predicts that the solar maximum will peak in May 2013, not 2012, and that it will be fairly weak, with a below-average number of sunspots. In any case, there is no scientific evidence linking a solar maximum to a geomagnetic reversal, which is driven by forces entirely within the Earth. Instead, a solar maximum would be mostly notable for its effects on satellite and cellular phone communications. David Morrison attributes the rise of the solar storm idea to physicist and science popularizer Michio Kaku, who claimed in an interview with Fox News that a solar peak in 2012 could be disastrous for orbiting satellites. The 2012 phenomenon has produced hundreds, if not thousands of books, as well as hundreds of thousands of websites. “Ask an Astrobiologist”, a NASA public outreach website, has received over 5000 questions from the public on the subject since 2007, some asking whether they should kill themselves, their children or their pets. Many contemporary fictional references to the year 2012 refer to December 21 as the day of a cataclysmic event, including the bestselling book of 2009, Dan Brown’s The Lost Symbol. The 2009 disaster film 2012 was inspired by the phenomenon, and advance promotion prior to its release included a stealth marketing campaign in which TV spots and websites from the fictional “Institute for Human Continuity” called on people to prepare for the end of the world. As these promotions did not mention the film itself, many viewers believed them to be real and contacted astronomers in panic. Although the campaign was heavily criticized, the film became one of the most successful of its year, grossing nearly $770 million worldwide. Lars von Trier’s 2011 film Melancholia features a plot in which a planet emerges from behind the Sun onto a collision course with Earth. Announcing his company’s purchase of the film, the head of Magnolia Pictures said in a press release, “As the 2012 apocalypse is upon us, it is time to prepare for a cinematic last supper” making reference to the phenomenon. The 2012 phenomenon has also inspired successful pop music hits such as “2012 (It Ain’t the End)” (2010) performed by Jay Sean and “Till the World Ends” (2011) performed by Britney Spears. In 2011, the Mexico tourism board stated its intentions to use the year 2012, without its apocalyptic connotations, as a means to revive Mexico’s tourism industry, which had suffered as the country gained a reputation for drug wars and kidnapping. The initiative hopes to draw on the mystical appeal of the Mayan ruins. Here is a video by NASA’s David Morrison about the risks of disasters on earth in 2012. For more information on this topic, please see http://astrobiology.nasa.gov/ask-an-astrobiologist/intro/nibiru-and-doomsday-2012-questions-and-answers. Hi, my name is David Morrison, I’m a space scientist at NASA Ames Research Center. For the last two years I’ve been answering hundreds of questions from the public about 2012 and the supposed threat to earth. And so now I want to take a chance to talk to some of you more directly. Here are some of the questions people asked NASA about the catastrophes predicted for 2012. 2012: Beginning of the End or Why the World Won’t End? Much like Y2K, 2012 has been analyzed and the science of the end of the Earth thoroughly studied. Contrary to some of the common beliefs out there, the science behind the end of the world quickly unravels when pinned down to the 2012 timeline. Below, NASA Scientists answer several questions that we’re frequently asked regarding 2012. Answer (A): Nothing bad will happen to the Earth in 2012. Our planet has been getting along just fine for more than 4 billion years, and credible scientists worldwide know of no threat associated with 2012. A: The story started with claims that Nibiru, a supposed planet discovered by the Sumerians, is headed toward Earth. This catastrophe was initially predicted for May 2003, but when nothing happened the doomsday date was moved forward to December 2012. Then these two fables were linked to the end of one of the cycles in the ancient Mayan calendar at the winter solstice in 2012 — hence the predicted doomsday date of December 21, 2012. A: A reversal in the rotation of Earth is impossible. There are slow movements of the continents (for example Antarctica was near the equator hundreds of millions of years ago), but that is irrelevant to claims of reversal of the rotational poles. However, many of the disaster websites pull a bait-and-shift to fool people. They claim a relationship between the rotation and the magnetic polarity of Earth, which does change irregularly, with a magnetic reversal taking place every 400,000 years on average. As far as we know, such a magnetic reversal doesn’t cause any harm to life on Earth. A magnetic reversal is very unlikely to happen in the next few millennia, anyway. The Blue Marble: Next GenerationEarth, as seen in the Blue Marble: Next Generation collection of images, showing the color of the planet’s surface in high resolution. This image shows South America from September 2004. All the following questions have been deleted from the NASA site. 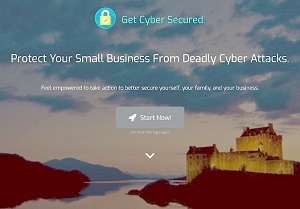 Click the above title to go to their site for more info on the topics below and many more.